Nokia is no stranger to QWERTY smartphones, having launched the E71, E63 and E72 in the past – and now the company has announced the latest addition to the family, the Nokia E5. Boasting a look Nokia is hoping will tempt consumers away from their Blackberries – a difficult task considering they are usually surgically welded – the E5 has high-speed HSDPA/HSUPA and WLAN web access, full QWERTY keyboard and a number of protective measures to make sure that if your phone is lost the data will be kept personal. These include remote locking with SMS, lock and wipe password enforcement and 24hr access to your own secret service agent. We may have made that last bit up. Other features include a 5MP camera with LED flash, Ovi Store, Maps and Share access and full support for the most popular email accounts. The screen is a disappointing 2.4-inch QVGA and internal memory is a so-so 256MB. Luckily there is support for 32GB microSD, which is a welcomed addition. The whole thing runs on Symbian 60 and will keep on going for an impressive 5 hours when using 3G. 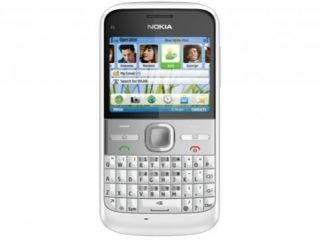 The Nokia E5 has a UK release date of Q3 this year and is set to cost around £160. Oh, and since you asked, you can get the E5 in following colours: Carbon Black, Chalk White, Sky Blue, Copper Brown, Silver Grey. Apparently, Pretentious Pink wasn't available.